We began homeschooling 16 years ago when my oldest was just 5 and entering kindergarten. About two years into our journey, we decided to read the Little House books and do a unit study with them. We used Margie Gray’s Prairie Primer as our spine and then added all kinds of fun supplemental books and resources to go along with it, such as The Little House Cookbook, My Little House Craft Book, Laura Ingalls Wilder Country and Diana Waring’s Musical Memories of Laura Ingalls Wilder, part of the Experience History Through Music series. This last resource became a family favorite. We listened to the music long after we finished reading the Little House books. In fact, we just kept the cassette tape (remember, this WAS the 90′s) in the car for entertainment while running errands around town or during long road trips. Our little family of 4 memorized all of the songs and wore that tape out. We eventually purchased the other tapes in the series – Westward Ho! and America – and did the same with those cassette tapes… played them over and over until we wore them out. As the years went by, our little family of four – two parents and two kids – grew to become a bustling family of eight. We continued our homeschooling journey and each child in turn read through the Little House books as they reached school age. However, the youngest two never had the chance to listen to those beloved Diana Waring tapes because they were no longer around when they were born into our family. This past spring I heard a rumor that Diana Waring was bringing BACK this amazing folk music, combined with the fascinating stories they represent in American history! The Experience Music Through History series was going to be back in print. I couldn’t wait! I asked if I could be first in line to write a review because I wanted to get my hands on these before anyone else did! After the books and CDs (yes, I said CDs! This is 2014 after all) arrived in the mail, I told my kids it was time to hop in the car to pick up their dad from the airport. I even had one of my adult children with me that day. I said nothing, but I just inserted the CD into the player and waited for reactions. My oldest began singing all of the songs by heart and the younger ones joined in the fun with clapping and knee-slapping and giggling over the wonderful lyrics. I think Wait for the Wagon, The Old Chariot and Buffalo Gals are our three favorites. If you want to have a knee-slapping good time, check out Musical Memories of Laura Ingalls Wilder along with the other two volumes in the series. I wonder which songs your family will like best. Enjoy! By the way, the individual titles in the series are $18.99 each, but if you purchase all 3 during the month of July, you can get them for the special price of $50 for the set. Great deal! Disclaimer: I received a free copy of Experiencing History Through Music in exchange for my honest review of the materials. What you just read is my honest review. Why should we finish well? Why should we continue down this path that we started? Frankly, I’ve seen the fruit and experienced the blessing of homeschooling my teens through high school. Does this mean it’s for everyone? Maybe not. But I can tell you how my family has been blessed with homeschooling, not just in the early years, but through junior high and high school as well. Public schools, especially in the upper grades, are dangerous places. Bullying, verbal abuse and peer pressure are rampant. And it’s not that kids are just getting an earful; they can be physically attacked and coerced against their will. But I’m not here to tell you about the dangers of public school. You have the nightly news for that. I would like to share with you the blessings of homeschooling to the finish line. Our kids are amazing young people! We love to be around them. But we don’t lock them up at home either. We have acclimated them into the “real world” through extracurricular activities and taking classes at the community college. They have spent large amounts of time with other teens through theater, sports and our church youth group. So, how do you finish well? There are two opposite approaches… which one is better? 1. Just keep going (AKA press on). Sometimes, it is just a matter of putting one foot in front of the other because you see the light at the end of the tunnel and you are determined to get there. This light could be the end of a school day, a school week, a school year or an entire education. Don’t lose hope and don’t lose sight of that finish line. Focus on it and you will get there. 2. Look up (AKA stop and smell the roses). Look into the faces of your children and truly see them. Take a hard look at your schedule and determine if it needs tweaking. Open your eyes to the opportunities around you and make the most of them. Sometimes we are in so much of a hurry or so determined to accomplish something, that we lose the joy. Don’t lose the joy! Is one of these approaches better than the other? Not really? Pick the one that will work for you today – either plodding ahead or stopping to smell the roses. You can always use the other approach tomorrow, right? I find myself using either approach, depending on my mood or whatever else is going on around me. Sometimes it is better to just keep plowing forward; while other times it is more necessary to stop and catch my breath and enjoy my surroundings. “The road of life twists and turns and no two directions are ever the same. Yet our lessons come from the journey, not the destination.” – Don Williams, Jr. In a few months, I’ll be participating in my first race. I’m on a team with 11 other women for the Portland to Coast – a walking race approximately 130 miles from Portland to the Oregon coast. I am the first leg. Obviously my focus is on starting well so that I set my team up for a great race. The middle portion will be the hardest (I have a leg in there too), but the finish is the most critical in many ways. Don’t let it just happen by default. Be pro-active, positive and make the most of your final years with your student. Starting fresh might mean that you first need to take a break, even a vacation, or just change it up a bit to keep the material fresh and from becoming burnt out by routine and monotony. Staying strong involves identifying the source of your strength, digging deeper for reasons and conviction to continue homeschooling. It also includes finding support, establishing a solid routine, and learning to say “no”. Finishing well is something we do because we believe in the journey and we trust that this path we have started is worth finishing. Do you feel like you need some help? Please check out our Homeschooling ABCs and Upper Level classes, which have been written for you, the homeschooling parent, to help you homeschool with confidence and for success. Why walk this road alone when you can have someone who has already walked it help guide the way for you? Homeschooling is a journey, but it is the most rewarding journey that I have taken yet. Are you weary on this journey? Seek the help you need to make it enjoyable once again. Perhaps one of our courses will be the very thing that will lighten your step. Are you lacking confidence? Lean in to your decision to homeschool. Embrace it, even if it feels uncomfortable for a time. You will go through peaks and valleys during your homeschool journey. It is inevitable. It’s important to remember that the most growth happens in the valleys. Yesterday we talked about Starting Fresh when you feel stressed and burnt out with homeschooling. That was Part 1 of a 3-part series. But how you can stay strong and run the race of homeschooling that you have chosen for your family so that you don’t get to that breaking point? That’s what I would like to address today. You need to follow a 5-Step Plan that will keep you from the cliff of burn-out and frustration and squarely on the road of successful, joyful homeschooling. Are you tired after teaching for 9 months? Do you long for a fresh start, to make next year better than this one coming to a close? Would you rather just put your head in the sand and not think about it until August? I hear ya! I have felt all of those emotions and then some. Yet today, our first day of summer break, I found myself thinking about next year, strategizing on areas I can improve, considering the ways to help one child excel in a certain subject and another child in a different subject. Great idea, huh? Well, maybe not! How can we find the joy in the midst of the battle of wills? How can we continue to create lesson plans and teach subjects day in and day out when we are getting tired? Or when we are getting bored? Or when we are plain old fed up? “Why are you trying to shelter your kids from the world?” Um, duh! “You must be some kind of super woman because I think that I might go loony if I had to be around my kids all day.” I understand. “Parents make the worst teachers.” Really? “Your kids are going to turn out to be unsocialized misfits.” I thought that geekiness was “in” these days? “What if your kids can’t get in to college?” Well, that’s a reasonable, if misguided, fear. Getting bombarded with these kinds of comments can really make you second-guess yourself, can’t it? How many of you have second-guessed your decision to homeschool at some point along your journey? I have. But the lowest point that I have reached in my homeschooling wasn’t because of these types of comments. My moment of true doubt and fear came when I found myself alone with no one to turn to or talk to when I reached my maximum capacity. I had been teaching my kids at home for 11 years (this was about 5 years ago). My oldest child had just finished her sophomore year of high school. At that time, I also had an 8th grader, a 4th grader, a 3rd grader and a kindergartener. I also had a 3 yo. I should have felt well established, confident and secure in my decision to continue, right? But I didn’t. I looked around and realized that I was the only one left of my peer group still homeschooling. We had quite a crowd of friends homeschooling while the kids were younger. We swapped subjects and children with each other. We formed a co-op together. We took our kids to the same extra-curricular activities, field trips and events. 1. The parents didn’t feel confident to teach the higher grades. 2. The parents were tired and burnt out. Our co-op could no longer continue because the number of homeschooling families plummeted. I found myself at a crisis point. My kids were feeling lonely and isolated. I was feeling overtaxed with 5 kids now to teach ranging from high school to kindergarten and a busy 3 year old to keep out of trouble. We had been living this lifestyle for so long and yet I suddenly felt unable to go on. I had reached a new decision point in my life. I could follow the crowd, or I could start fresh, stay strong and finish well. I chose the second option and I would like to share with you how I did it. “Tomorrow is always fresh with no mistakes in it,” Anne Shirley of Green Gables. Isn’t it great that we get to start fresh? We can make a brand new fresh start at the beginning of the school year. But you know, we can also start fresh each week, each day. We always have an opportunity for a fresh start. go to the library, go to the park, etc. 2. Change it up! Try something new. Guess what? You are not married to your curriculum. There is really only one thing you are married to – your spouse. Try something different and see if it helps. Maybe the curriculum you are using isn’t fitting the way your child learns. Try something different. You don’t’ have to spend a lot of money on experimentation. See if you can borrow something from a friend. Search out a freebie online, even if just a sample. Purchase a unit study just for a change of pace. Incorporate some educational videos now and then. Here are some of our favorite youtube channels that always teach us something new. Try a mobile app for a particularly frustrating subject. Here are some of our favorite educational mobile apps. 3. Take a vacation, especially if the weather is wonderful. We do take a summer vacation because there is no place more glorious than the Pacific Northwest in summertime (well, that’s my opinion). Spring and fall days for festivals, hiking, biking and swimming. We rarely take days off school on school holidays, such as Presidents Day, etc. We just keep plugging along. Now, I probably made it sound like you should rarely have regular school days, with regular school subjects and regular school assignments. Actually, no, this couldn’t be further from the truth – you should have a schedule and a routine (it’s good for everyone) – but these ideas are for you to fall back on when you are feeling stressed and burnt out. Because the truth is that the #1 reason that homeschooling families stop homeschooling is because the mom is fried. It’s not because of a job loss, health problems, aging parents or other external reasons. These can often be overcome by sheer determination and creativity. But the homeschool mom who is burnt out does not run the race like she wants to or the way that she set out to. These ideas that I have presented are to help you when feel a weight of stress pressing down on you or when you start to feel quick-tempered, sad, annoyed, confused. Stay posted for tomorrow’s post on how to Stay Strong so that you are less likely to reach burn out stage to begin with! Do you need any help getting back on track? Check out Homeschooling ABCs and Upper Level Homeschool for the encouragement and equipping you need to homeschool for success. Question: What are some ways that you start fresh when you need a “do-over”? 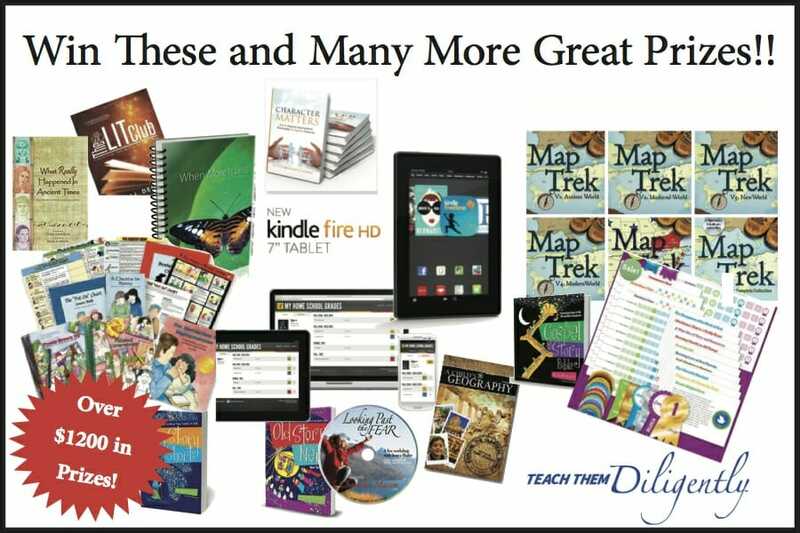 If you find great satisfaction in reviewing and promoting the best, top-notch products in the homeschool marketplace, then you will love what I am about to share with you. If you blog as a hobby, but also to contribute to your family’s income, even if just for little extras that make the kids (and your husband) smile, then you will really be excited about this. I want to tell you about a brand new affiliate opportunity that you will not want to miss out on. If you like promoting quality homeschool materials and receiving a hefty commission sum, then you will like this! Have you heard about the Build Your Bundle sale coming up this summer? It is a unique sale that allows customers to bundle only the items that they really want. The prices are great without being ridiculous. The items included are quality, top-notch, award-winning products. We are thrilled that several of our products are included. 2. Recruit your friends to sign up as an affiliate too. Why would you want to do this? Because you get a 10% commission for every bundle they sell too. SWEET! Psst… Jump in now BEFORE everyone knows about this! Are you wrapping up your school year or homeschooling through the summer? Because we live in the Pacific Northwest, we take a summer break to enjoy the glorious weather. There is no place lovelier than Oregon in summer. Well, that’s what we think anyway. As an aside, when we lived in Texas, we schooled though the summer and took longer breaks during the spring and fall when it was more fun to go outside. Anyway, we are thinking through our summer plans and the trips that we will take. We’ve got two trips up to Washington and a trip down to California planned. Plus, we’ll go camping at least once or twice. In any case, it looks like we’ll be spending some time in the car. We don’t mind the kids watching a movie or two, but prefer that they spend the majority of their time in the car reading good books or playing games. How about you? Do you have any road trips planned? You may just need some great books and activities for all that time that you will be trapped (I mean, blessed!) with your kids in the car. Even a 2-3 hour car ride can get awfully long if you do not plan some activities or bring some good books for the trip. We have hand-picked our favorite KQ resources to make the time you spend in a small, crowded space for long periods of time… well, bearable! Perhaps you are planning now for the 2014/2015 school year already? Good for you! You can never plan too early. If you are planning / hoping to include any of these resources – What Really Happened, A Child’s Geography, Presidential Scrapbook, Star-Spangled State Book and more – this is the time to stock up! Many of these titles will not be discounted below retail prices again this year. Prices discounted from 25-50% off. Enough said… the prudent shopper will know what to do. Sale continues through Monday, May 19th at midnight. If you have any questions or need any assistance, write to helpdesk@kqpublishing.net. Bon voyage and may the wind be ever at your back! Question: What are your best tips for making family memories on a road trip? We’re nearly there! Pat yourself on the back for reaching the finish line! You are a superstar – a champ! Most homeschooling parents like to take a summer break of some length even if it does not last a full 3 months. And we’re so close, we can almost touch it. But with the sun shining brightly outside and the weather warming up, it can be difficult to stay focused and finish the school year strong. And speaking of summer, check out our Road Trip Sale if you are planning to take one this summer! 2. Look Up! If you have been homeschooling your kids since August or September, then you might have your head down with your shoulder to the wheel. Sometimes we are just putting one foot in front of the other, homeschooling by rote, just to get by. Sometimes that is all we can do. But I encourage you to take a deep breath and look up! Look into the faces of your children and truly see them. Take a hard look at your schedule and determine if it needs tweaking for your final weeks of school to make it work better for you (it’s okay to lighten it up). Open your eyes to the opportunities around you and make the most of them. Sometimes we are in so much of a hurry or so determined to accomplish something, that we lose the joy. Don’t lose the joy! 3. Throw an End-of-the-Year Party! We like to throw historical feasts 2-3 times a year, with one to finish up the school year. We dress in costume, cook period appropriate dishes and follow the social customs of the day. On our final day of school, we will also give out evaluations for our students up through 8th grade and updated transcripts with grades for our high school students. It is a fun night of recognition and makes for very fond memories. These memories last throughout the summer so that the idea of starting back to school is pleasant and doesn’t produce groans from the kids. Question: What are you doing to finish this year strong?